Happy 4th of July everyone. I’m gearing up for my trip to San Diego next week for Comic-Con 2012. Many things to hunt/buy and the wallet is gonna hurt a lot this year. I picked up Bandai D-Arts Megaman X Zero type 2 figure but I have no time to review it. I’ll try to resume video reviews in a couple of weeks so stay tuned. 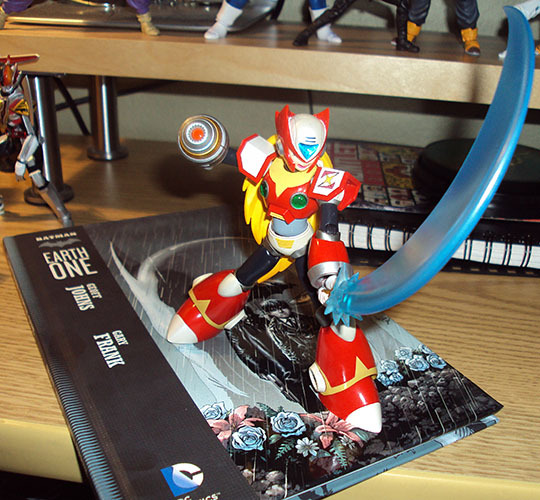 Finally, a Megaman Action Figure that truly delivers. Great plastic quality, articulation, sculpting, and accessories. Wolverine’s female clone, X-23 joins the Marvel Universe action figure series.